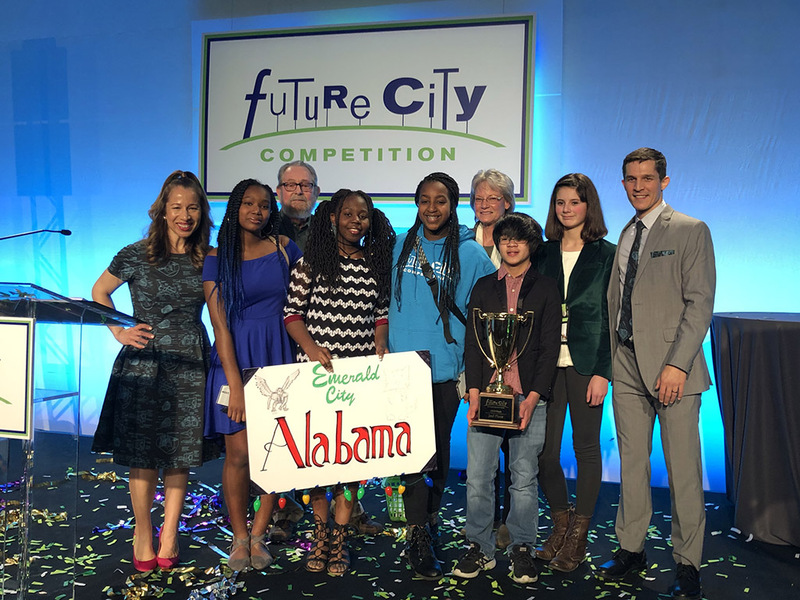 A team of students from the Academy for Science and Foreign Language (ASFL) has won 2nd Place at the Future City National Finals which were held in Washington D.C. This is the eighth straight year that ASFL has competed at the national level. The group competed against over 50 other teams for the honor. Students at ASFL spoke about the hard work that went into the project and the feeling of accomplishment they received by placing second. Eighth-Grade student Walden Wilder said, "We made it, we actually did it!" She and other students remarked about how they felt that their diligent efforts had paid off. Future City is a project-based learning experience where students have to imagine, design, and build cities of the future. Students work as a team with an educator and engineer mentor to plan cities using SimCity™ software; research and write solutions to an engineering problem; build tabletop scale models with recycled materials; and present their ideas before judges. The Future City Competition engages more than 40,000 middle school students each year throughout the United States and abroad. Students repeatedly report that the program increases their motivation and excitement about STEM (Science, Technology, Engineering, and Math). In addition, students and teachers report a marked improvement in students’ 21st Century skills.